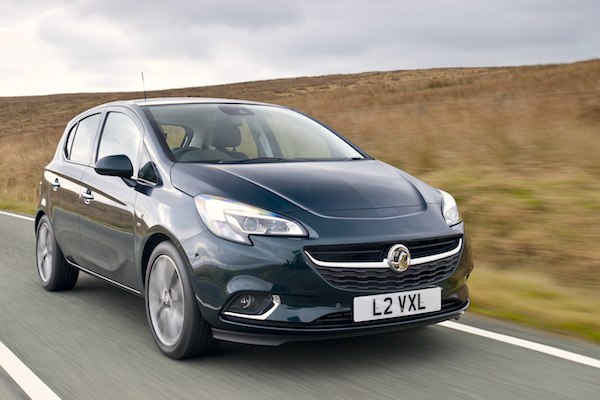 The Vauxhall Corsa has topped the annual Scottish charts for 9 of the past 10 years. Through our partnership with SMMT we can share with you Full Year and December 2017 sales data for Scotland. Keep in mind this is a zoom in for each UK nation, these figures will be included in the upcoming Full Year and December 2017 Reports. The Scottish new car market is down 8% year-on-year in 2017 to 203.323 registrations, and its best-seller the Vauxhall Corsa manages that feat despite a 18% drop to 4.1% share. It is the third consecutive year and the 9th time in the past ten years that the Corsa ends the year at #1 in Scotland. Its immediate follower the Ford Fiesta falls even faster at -21% and ranks #2 even though it topped the monthly charts six times this year vs. just three for the Fiesta. The Ford Focus (+1%) manages to overtake the VW Polo (-9%) to snap the third spot, and ranked #1 in July. The Vauxhall Astra (-12%) remains at #5, the VW Golf (+1%) and Mini (+6% – leader in December) both overtake the Renault Clio to rank 6th and 7th respectively and the Vauxhall Mokka X (#1 in August) replaces the Mokka in the Scottish annual Top 10 while the Nissan Qashqai now ranks in every UK nation’s Top 10.